AUGUSTA, Maine — Gov. 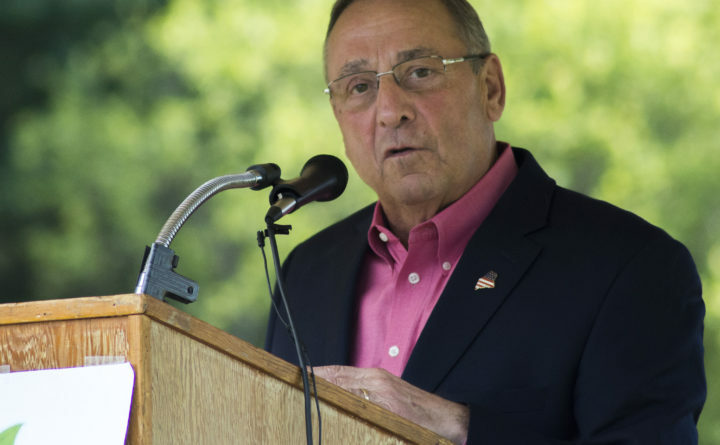 Paul LePage said Monday that he might remove two Maine sheriffs for what he called lack of cooperation with immigration officials — an apparent shot at one who has said he wouldn’t automatically hold inmates past release dates for the federal government. The Republican governor told conservative radio host Laura Ingraham that he would issue an executive order because Maine has “a couple of sheriffs who say they’re not going to work” with federal Immigration and Customs Enforcement officials. “So, there’s likelihood that you’re going to be hearing some stories about some sheriffs being removed from their duties,” LePage said. Sheriffs are elected in Maine, but the state Constitution includes a way to remove them: After a complaint, due notice and a hearing, the governor can remove a sheriff if he finds they are “not faithfully or efficiently performing any duty” imposed on them by law. LePage didn’t name sheriffs, but Cumberland County Sheriff Kevin Joyce sent a letter to ICE this month saying that he would hold inmates for ICE past scheduled release dates only if the agency also submits a warrant because of constitutional concerns around false imprisonment. Joyce, a Democrat, didn’t comment on LePage’s threat to remove sheriffs, saying “maybe he doesn’t have all the facts.” But he said the new policy was vetted by county lawyers and that it’s not “anti-ICE,” but “pro-taxpayer” should the county face a lawsuit from an inmate. LePage spokeswoman Julie Rabinowitz didn’t respond to a question on who the sheriffs referenced by the governor were, but she said in an email that while no removal proceedings have begun, LePage’s “first responsibility” is “safety and security of the children, families and citizens” of Maine. York County Sheriff William King, a Democrat, said Monday that he wouldn’t honor requests to hold immigrants beyond their release dates, but added that his office has also not been asked to do so in years. King declined to comment on LePage’s statement, saying he hadn’t heard it. Curtis also said he hopes the governor would think things through before taking such a “drastic step” as removing a sheriff. And Sagadahoc County Sheriff Joel Merry, a Democrat, said there are no grounds for holding an immigrant without a judge’s order. BDN writers Christopher Cousins and Jake Bleiberg contributed to this report.